Beautiful renovated and furnished or unfurnished (your choice with the furniture, and same price either way) Orange Tree 2/2 condo available for August move in! 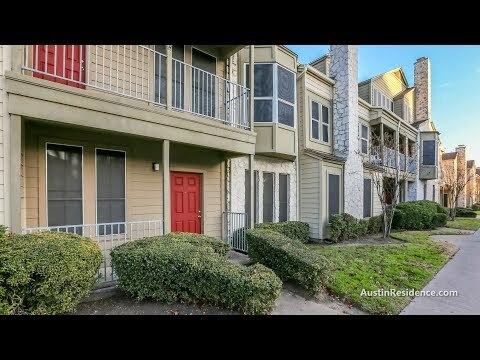 This huge 2nd floor (top floor) unit is an easy walk to UT Austin, bus routes (including UT Shuttle that picks up right next to the complex and MetroRapid just a few blocks away), Pease Park, shopping, and restaurants. 2 reserved garage parking spaces included in the rent! Water, waste water, and trash only $50/month. 2 large bedrooms (each big enough to share, so 4 people could comfortably live in this condo), 2 walk in closets, and 2 full bathrooms. Granite counters in the kitchen and both bathrooms. Stainless steel appliances and washer & dryer included with the unit, as well as furniture for the living room, dining room, and both bedrooms! This condo also features a fireplace and a lovely skylight above the dining room. Ceiling fans in the living room and both bedrooms. This condo has been very well cared for, as it’s been owner occupied for the last several years. Great courtyard, swimming pool, and attractive landscaping on site. The HOA has someone who patrols Orange Tree Condominiums from 10pm to 6am every day. Have you considered the benefits of buying at Orange Tree Condos instead of renting? Orange Tree Condos is located in West Campus. Click here for a comprehensive guide to West Campus, including full screen photos and video tours!